Betsey Amelia Howard, wife of Richard Philip Hart, was the daughter of William Howard, and granddaughter of Phebe Hart, who was the sister of Jeremiah and Philip Hart. As mentioned before, Betsey was born on December 9, 1798 in Dutchess County, and was the first cousin once removed of her husband. Her father, William Henry Howard, appears to have been even wealthier than her husband Richard. He was the president of the Union Bank in New York City in 1811 at its incorporation, and was either its trustee or president until 1840. He and his family seemed to have lived in Manhattan for many years until his death in 1845, two years after the death of Betsey’s husband, Richard. 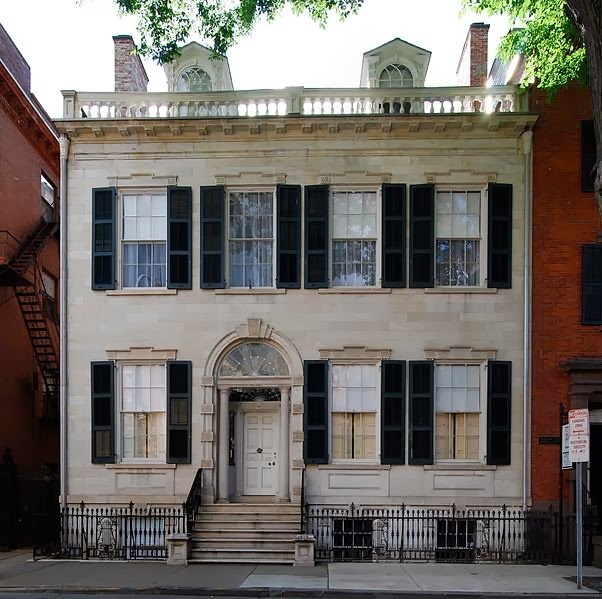 Betsey and Richard received the Hart mansion in Troy, New York, as a gift from from her father in 1827 to provide room for their burgeoning family. Betsey was either an only child, or was a de facto only child, as her reported brothers moved away from New York. In 1845, Betsey was now the inheritor of two fortunes, that of her husband and that of her father. She must have been a wise manager of money, and a tycoon in her own right, as when she died in 1886 about forty years after her husband and father, she was reported as “the richest woman in America”, her estate valued somewhere between seven and ten million. This was all accomplished in nineteenth century America by a mother of fourteen children. She was named in in an article published in several newspapers in various parts of the country in 1865, as one of the “solid men of Troy” due to her high income. She was the only person mentioned from an original list of several individuals, likely because it was so unusual for a woman to be so wealthy, and because she was listed as a man. I could find several references to her generosity to charities and serving as their trustee, including educational institutions such as the Troy Female Seminary, Troy University, and the Rensselaer Polytechnic Institute, and children’s charities such as the Troy Orphan Asylum, Young Men’s Association, and the Day Home. Her husband had been instrumental in bringing the Troy Female Seminary to the city of Troy, a school which was the first in the country to provide women with the same quality of education given to men. Most of their daughters attended this school, operated by Emma Hart Willard, the famous nineteenth century educator. Emma’s school was visited twice by the Marquis de Lafayette during his 1824/1825 visit to the United States, two years before any of the Hart daughters were to attend. However, it is likely that members of the Hart family saw the aging general during his sojourn in their city as it was a grand event. Betsey was still living in her mansion when she died on August 23, 1886. Her fortune was dispersed among her children and grandchildren, and seeded their prosperity for decades to come. Her white marble mansion, after being sold to the Cluett family, and having been in their hands for many years, became the home of the Rensselaer Historical Society, and still stands as a rare example of this type of architecture in the late Federal style. Betsey’s bedroom with its Duncan Phyfe furniture has been decorated to appear as it was when she lived there. It is definitely going to be on my itinerary for my next family history road trip to New York State. 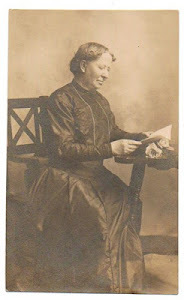 Just found your interesting blog about Betsey - as you may know RCHS (add "County" into our name to be accurate) has a huge trove of Hart Family Papers that have helped us document her life and times after her husband died in 1843. You mention that her estate was valued at between $7 and 10 million - were you using an equivilent in today's dollars? Her estate inventory which we have lists her total assets at about $2 million, which is certainly still a lot of money, even today. It sounds like you may have a copy of our book on the Marble House - full title is The Marble House in Second Street, Biography of a Town House and Its Occupants, 1825-2000. if not,copies are available through RCHS, just email me at spdraper@rchsonline.org. We are always glad to discuss Betsey, Richard and their family further.